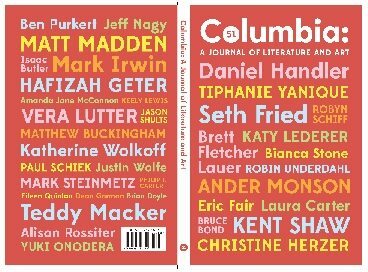 Lit Mag Spotlight: Columbia: A Journal of Literature and Art - Writer's Relief, Inc. Happy November, writers! This month’s Lit Mag Spotlight features Columbia: A Journal of Literature and Art. Columbia’s one of the few national journals run entirely by students. Their archives include Jorge Luis Borges, Raymond Carver, Italo Calvino, Noam Chomsky, and many more! Read about what makes their journal unique, read a piece they especially loved to publish, and, most importantly, read Columbia! CONTEST: Leave a comment on this blog post by November 27 to enter to win a copy of Columbia’s most recent issue, as well as two back issues from the archives! This contest is now closed. Congratulations to our winner, Robin! Thank you to all who participated. Give us the lowdown on your journal’s mission. One of the things that made me eager to get involved with the Journal was its unique blend of established authors and new, fresh voices. 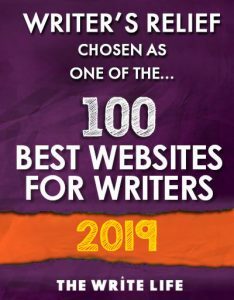 I read many of my favorite journals and reviews to see the newest work from favorite writers I’ve read before, and there are, of course, many smaller journals that promote the work of unknown writers. But in my experience, it’s rare to find both; that is, few established journals remain committed to seeking out the undiscovered. This is one of our greatest goals: to be a place that is respected as both a home for big names and as a place for the previously unpublished to find a new audience. The full name of our publication also gives it away—Columbia: A Journal of Literature and Art. We’re committed to publishing the very best fiction, nonfiction, and poetry that we can…but we’re also committed to featuring the work of talented artists and to making the physical journal a beautiful art object too. Describe your ideal submission in 15 words or less. Hmmm…surprising, assured, fresh. Writing that delivers that sucker-punch feeling. You think, I’ve always known this but have never expressed it this way. Tell us about a piece you recently published that got the staff really excited. Why did you love it? Why did it strike a chord? Issue 51, which was published in May 2013, was an embarrassment of riches: fiction from Tiphanie Yanique, nonfiction from Ander Monson, a first-published story from U.S. Army veteran Eric Fair, new poetry from Brett Fletcher Lauer. And what’s more, Issue 51 can be purchased online! Please visit our website. Regarding submissions: What’s the most common turn-off that you encounter? I often find (and full disclosure: I’ve been guilty of this myself, in the past) that writers are submitting just for the sake of sending the work out into the world. That is to say, they let it go too early. We often receive slush that reads like a first draft—typos, errors, etc. It’s immeasurably important for us to get our work out there, but it’s also imperative that we send out the best possible work. If you’re still “tinkering,” then it’s too soon to hope that an editor will pluck it from the slush pile! What’s the most common oversight (in terms of submission guidelines)? 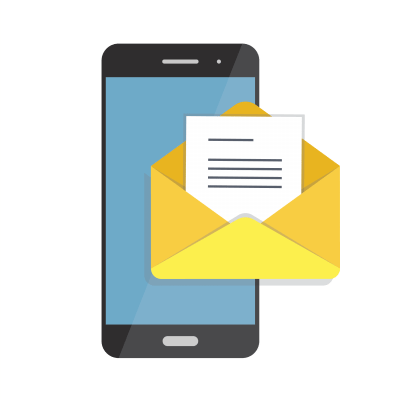 People send submissions via snail mail (which we do not accept) and often do this outside of our submission period, which runs from March 1 to October 31 every year. Why is your journal awesome? Because we put as much energy into finding something excellent in the slush pile as we do into soliciting work from agented authors. Because we want to produce a finished product that looks as beautiful as it reads—a journal that you’d be proud to display in your home and that you’ll want to read and reread. Where can readers find your submission guidelines? On our website [during our submission period: March 1 to October 31]! And if you read them through before submitting, we’ll love you all the more. In addition to the print journal, we publish all kinds of writing—from flash fiction to criticism to personal essays to humor to poetry—online. Publishing with Columbia: A Journal’s online content is a great way to get to know our staff, to familiarize yourself with the Journal’s output, and to join an ever-expanding community of writers and readers. For submission guidelines for the online content, please visit our website. You can find Columbia on Facebook and Twitter! CONTEST: Leave a comment on this blog post by November 27 to enter to win a copy of Columbia’s most recent issue, as well as two back issues from the archives! Really interested in reading new journals. I need to branch out of blog writing into Journals and magazines. Thanks for the chance to win. It sounds like you demand excellence. I’m intrigued to see a copy of your journal. A helpful report on how and when to submit. I remember when editors requested “typewritten manuscripts only”. Now it is send by e-mail, not regular (snail) mail. Great interview! I like that “Columbia: A Journal of Literature and Art” blends the works of new, undiscovered artists and more established ones. Can’t wait to submit my poetry in March 2014! It’s great when a publication is open to all kinds of writing. I will be following Columbia. Sounds like a quality publication to aspire to submit to for soon-to-be-published authors like myself. Count me in. I’m afraid you’ll find me a bit maniacal about Literature and Art, and reading and writing. During the last 11 years, I’ve visited 14 different libraries in 9 different states. I have 4 different library cards as I write this. I’ve been cintinueously carrying around a bag of about 6 different books, 3 of which I’m reading, 2 are reference books, a thesaurus and a dictionary for writing. I also carry a small box of pens, pencils, a pencil sharpener, erasers, and 2 or 3 notebooks. Almost all I do is for my writing, even my reading. I just hope that you don’t think I’m to obsessive, but I love to read and write! I like the comment about the “sucker-punch” feeling – something I try to achieve with all of my writing. I think it’s really neat that the staff at Columbia: A Journal of Literature and Art solicits manuscripts from writers they love and then also really puts that extra effort in to find those special manuscripts within the slush pile. I’m curious to see the effort of the combined effort of accumulating manuscripts. Well THIS looks spectacular and I want one.